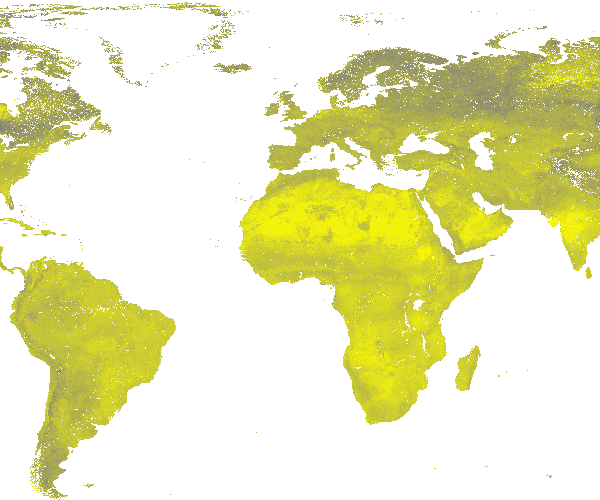 Derived available soil water capacity (volumetric fraction) with FC = pF 2.3 at 7 standard depths predicted using the global compilation of soil ground observations. Accuracy assessement of the maps is availble in Hengl et at. (2017) DOI: 10.1371/journal.pone.0169748. Data provided as GeoTIFFs with internal compression (co='COMPRESS=DEFLATE'). Measurement units: v%. To visualize these layers or request a support please use www.soilgrids.org. 25aad258-9d1f-4247-8628-9db355c5ac11 Access to the portal Read here the full details and access to the data.